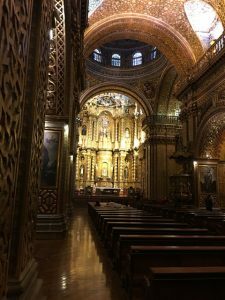 Ecuador, it’s truly a diverse country and we really enjoyed our time here. 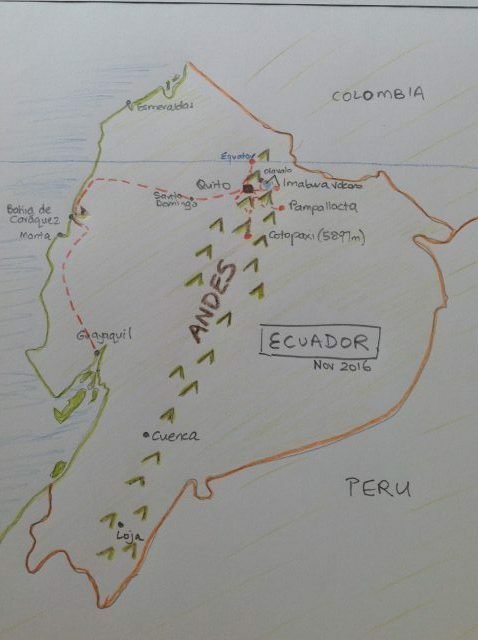 The red dotted line in my picture above is where we travelled in Ecuador. Would have loved to get to some other towns here but then you can’t do everything. We were moored in Bahia de Caráquez a great place to leave the boat to go inland and see the country as it’s nice and protected behind a point of land, up a river. 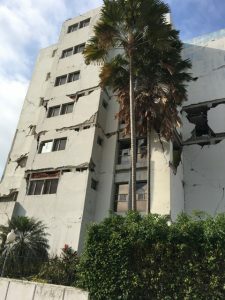 Unfortunately the NW coast region, including Bahia was struck by a 7.8 earthquake in April 2016 destroying many homes and buildings. 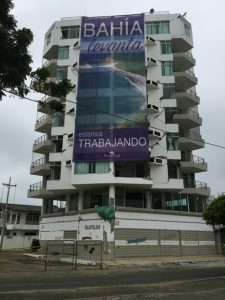 In the photo above most of the white tall buildings have to come down still and need to be rebuilt. The people who have stayed (and many have left) are strong and are fighting back rebuilding their towns. We saw many temporary homes and volunteer groups along the way helping the many towns and communities on the Coast. 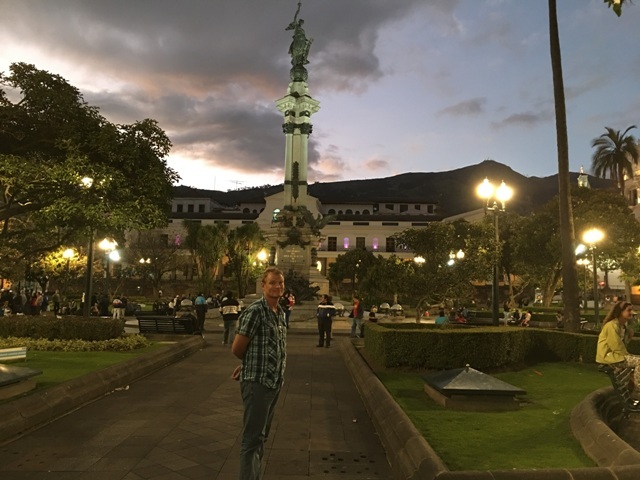 We drove the Coast road from Bahia to Quito some 300kms. The landscape was so dry on the coast with bare dirt and hardy looking trees. 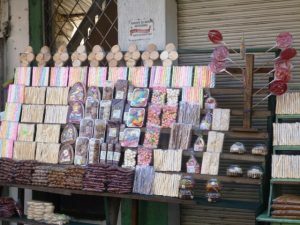 Through all the small towns we passed lots of roadside stalls selling all sorts of things our fav being the candy stalls, which of course we needed to try. Yum! 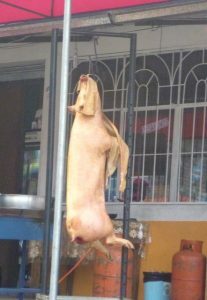 We went through one town where there were lots of pigs strung up at each restaurant entrance. 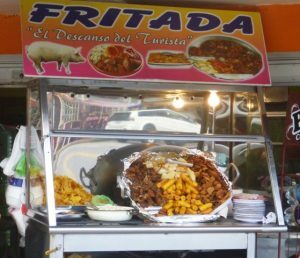 Fritada is a traditional Ecuadorian dish available on the weekends and yes is made from pork hence the advertising out front. 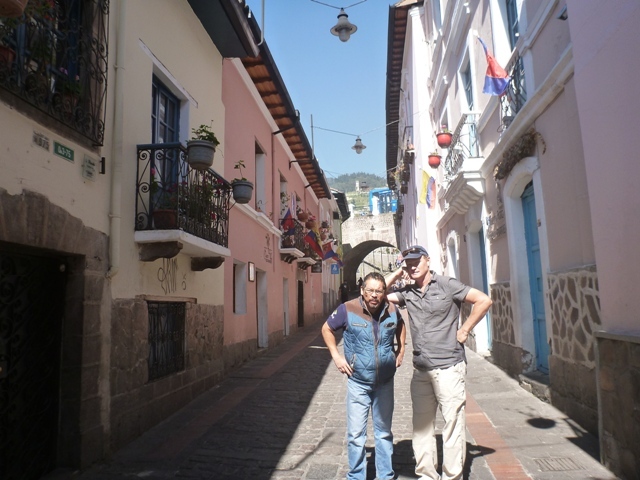 We had already eaten Seco de pollo or Chicken Stew, which was very tasty and filling so the pigs out front on the dusty road did not appeal. 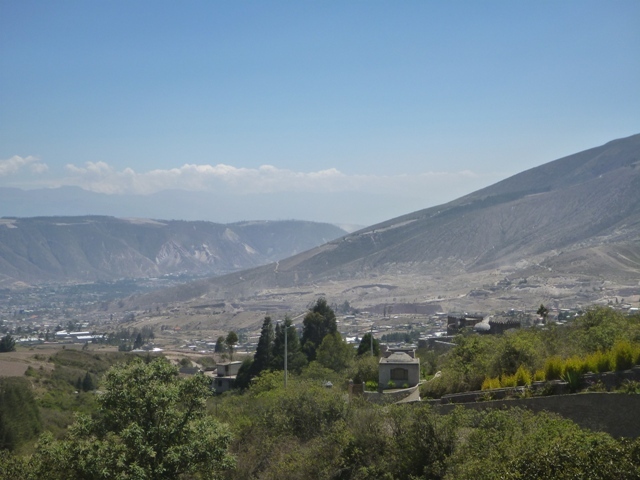 To get to Quito we drove up, up and further up, West over the Andes some 3500m where it got very cold. 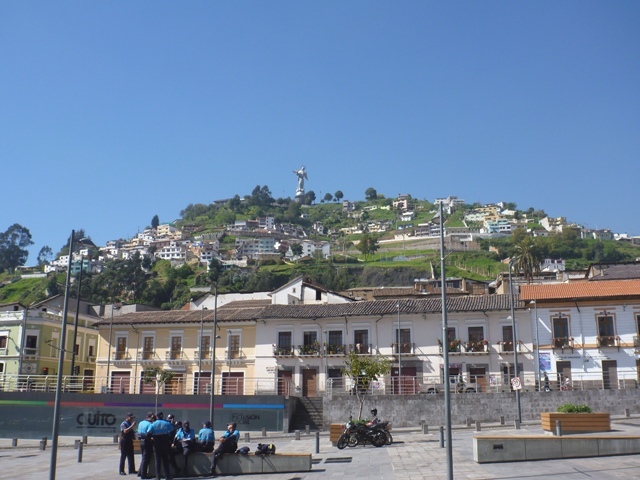 Then it was down into Quito, which sits at 2850m above sea level. 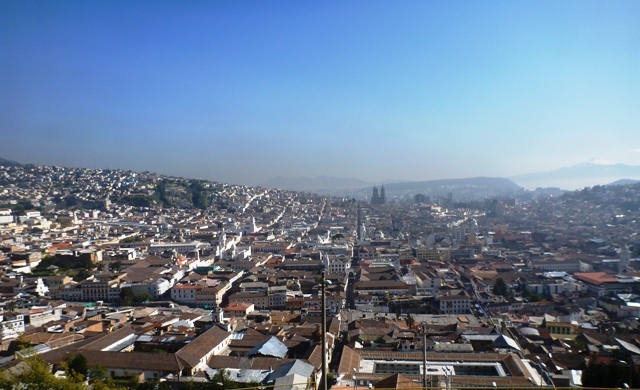 Quito was founded in the 16th Century on the ruins of an Inca City. 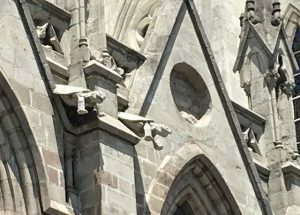 It was designated as a UNESCO heritage site in 1978 and you can definitely see why. 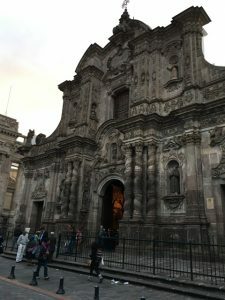 We stayed in the old city and wandered around the streets, which have just amazing small one way cobbled streets with beautiful old buildings, incl many churches and an amazing landscape, where there are 15 volcanos around Quito. Lots of beautiful churches all around the historic district. 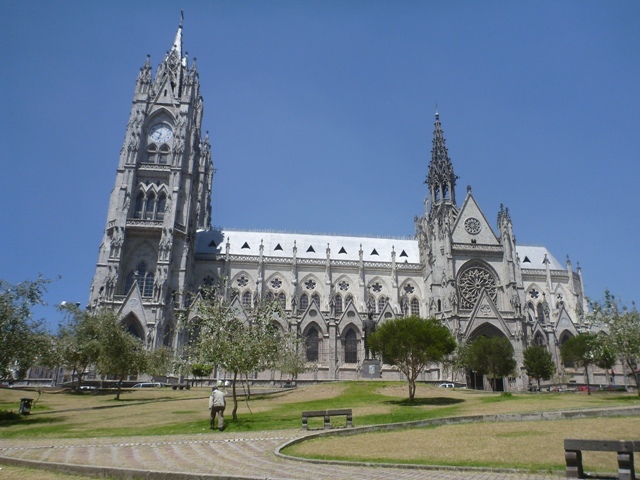 San Francisco is Quito’s oldest church and was built in 1535. 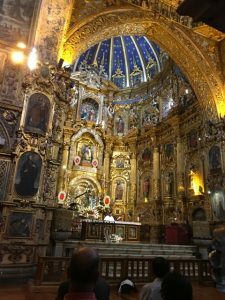 This was a huge church with an amazing gold leafed interior everywhere you looked. 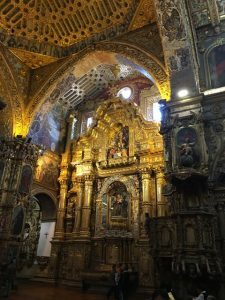 Iglesia de la Compañia de Jesús also has gold leafed alters and ceilings. 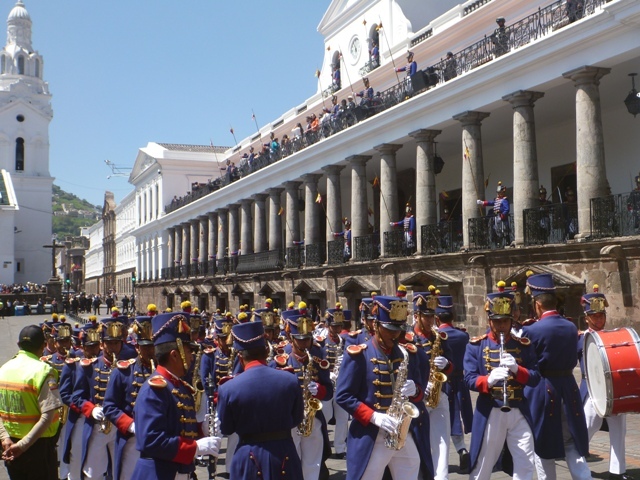 On Mondays at 11am you can stop by Plaza de la Independencia for the changing of the guards, which is quite the affair with the President & VP of Ecuador standing on the veranda at the presidential palace and lots of people gathering below to watch the band, guards and horses parade around the plaza. Very colorful. 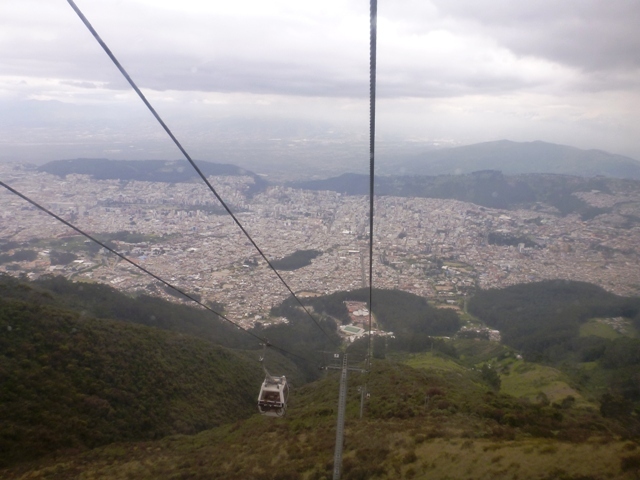 We also went up the Teleferico or cable car to top where you get views over Quito North through to the South and can see how big this city really is. Lots of hiking and mountain biking trails up here. 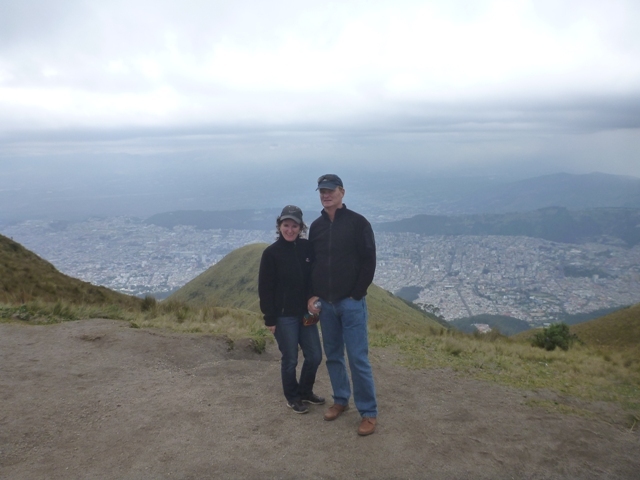 We drove up into the North of Quito where we went for lunch at the Pululahua Crater and had amazing views from the top of the crater. So nice to be out of the city. 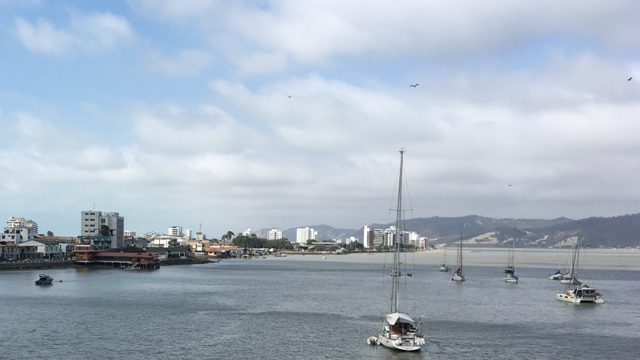 One side was mountainous and green while the other was so dry. 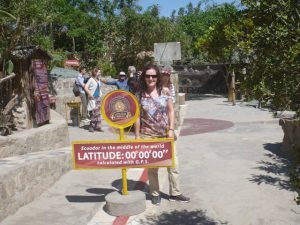 Even went to the Equator Museum at the “Middle of the World” where we checked our GPS and yes we were at latitude 0. 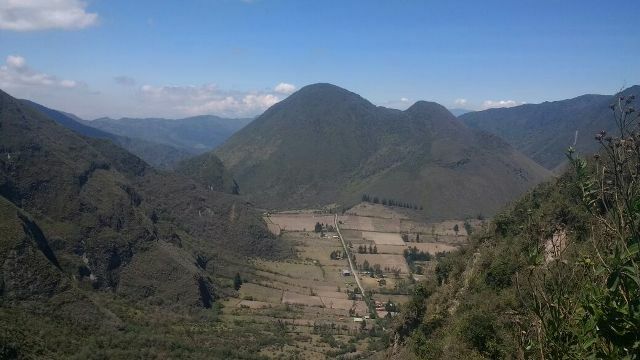 Whoever bought this piece of land was thinking, lots of tourists = money! They did a number of Coriolis effect tests to show how things are different south and north of the line. Eg. Which way does water turn clockwise or anti-clockwise. The Simpsons’ episode was right! 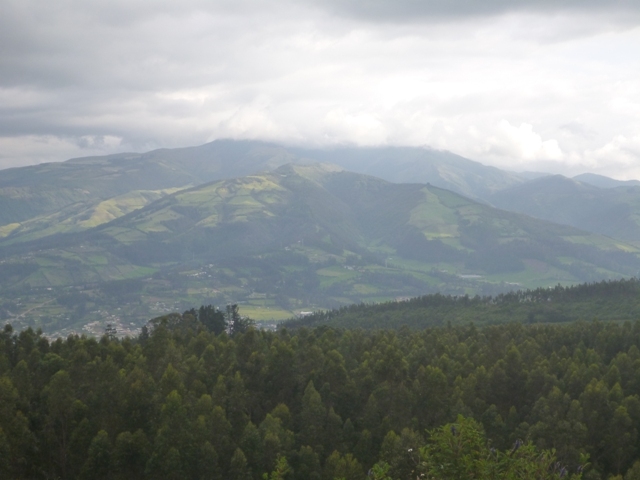 Heading into them there big hills, Ecuadors Andes. 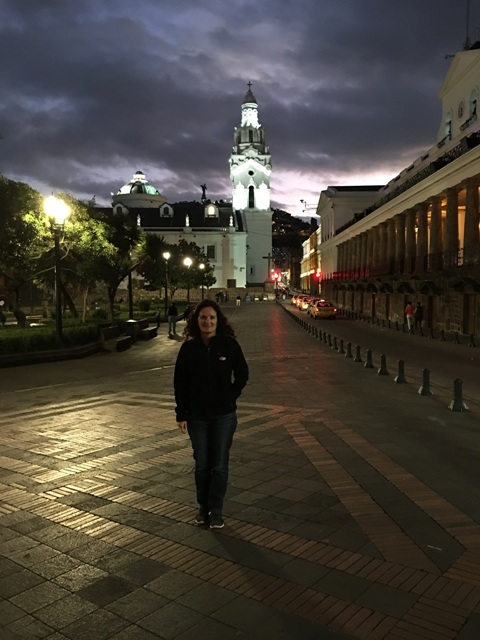 This entry was posted in Ecuador and tagged Bahia de Caraquez, Quito by Teresa. Bookmark the permalink.